Rstudio, a new open-source IDE for R, has just been announced and is now available for beta test on Windows, MacOS, and Ubuntu. It works with an existing installation of R (2.11.1 or above) on your desktop, and is also available as a server version for Linux, where the IDE runs in your browser. It looks like an interesting project, and I look forward to seeing more to come from the Rstudio team. This image is a detail of a poster from The Face of Tomorow, and vitual modern art exhibition at "The Contemporary Art Museum Saint Gery" in virtual world Second Life. You can find there averages of citizens of other cities too, including London, Paris and Toronto. I found this exhibition while trying to find the source of this image, which was doing the rounds a couple of weeks ago. As far as I can tell, the source is this blog from which I guess someone created a composite of all the female figures. (If someone wants to do the same with the male figures, please do!) 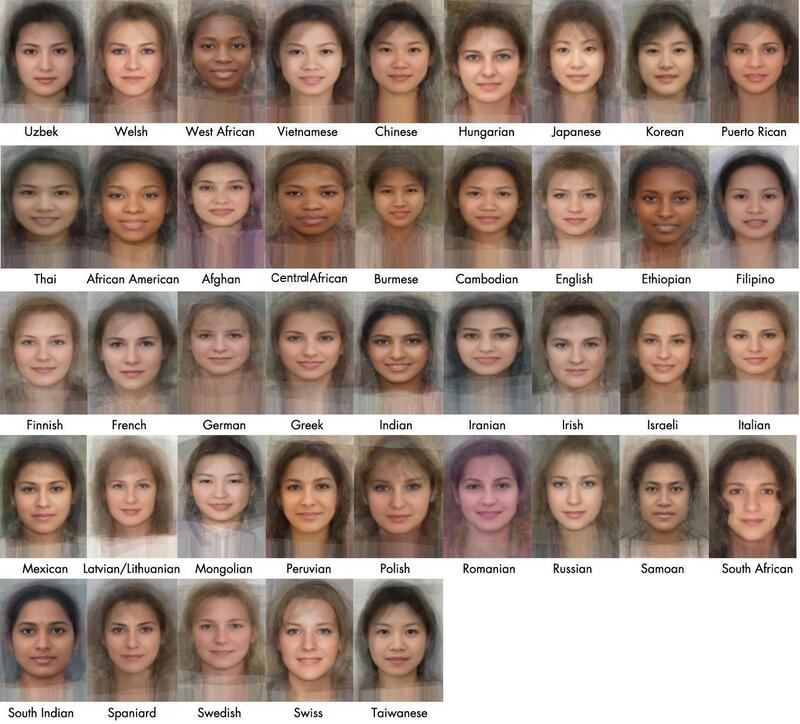 I'm guessing the averages themselves were made with the face averaging tool from faceresearch.org. I sit on a fast campus network and have at least 10 remote cores available that I could farm out for big jobs. the SSHcluster method would require minimal invasion on those machines -- just ability to execute ssh and Rscript on the remote machines -- not even login privileges are required! ... read several text files, merge the results, reshape the intermediate data, calculate some new variables, take care of missing values, attend to meta data, execute a few predictive models and graph the results. What's the best platform for a high score on Canabalt? the Twitter stream again becomes a great data source to analyze the distribution of Canabalt high scores, and now also to compare performance on the various platforms, and even to analyze individual death types. Surprisingly the iPhone, despite its smaller screen, is the platform upon which the higher scores tend to be reported. (It's also the most-played platform, which surely skews the results somewhat -- experts on extreme value theory are welcome to chime in!) The deeper analysis by type of death is also interesting: my own demise in my high-score game "somehow hitting the edge of a crane" is one of the rarer ones. Check out the full analysis and code in Neil's blog post linked below. Starting on March 5 at the Hacker Dojo in Mountain View (CA), Mike Bowles and Patricia Hoffmann will present a course on Machine Learning where R will be the "lingua franca" for looking at homework problems, discussing them and comparing different solution approaches. The class will begin at the level of elementary probability and statistics and from that background survey a broad array of machine learning techniques including: Unsupervised Learning, Clustering Techniques, and Fault Detection. More details and registration info at the link below. Who did HBGary contact the most? Following on from Friday's post about the travails of internet security firm HBGary, R user Michael Bommarito has done an analysis of the leaked emails to find the top 20 most contacted email addresses and the top 20 most referenced internet domains. There are some interesting names on those lists, to be sure. Check them out at the link below. The story of how this came to pass is a fascinating one, and involves the attempts by the internet group Anonymous to conduct denial-of-service attacks on opponents of Wikileaks, an attempt by HB Gary to infiltrate the ranks of Anonymous, and the inevitable digital counterattack. Ars Technica has the full story, and it's a must-read for anyone who want to learn about practices in the darker side of internet security.